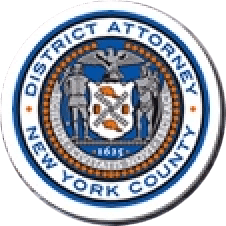 Manhattan District Attorney Cyrus R. Vance, Jr., today announced the guilty plea of TAMARA WILLIAMS, 38, for her part in a scheme that used stolen personal identifying information from Saks Fifth Avenue customers to purchase approximately $430,000 in luxury goods from that store’s Midtown flagship store for later resale on the black market. WILLIAMS pleaded guilty to the top charge in the indictment against her, Grand Larceny in the Second Degree, as well as Identity Theft and Scheme to Defraud, both in the First Degree. Co-defendants KRISS ROCKSON, JASON CHANCE, MICHAEL KNIGHT-WILLIAMS, and CHRISTINA KIPP have previously pleaded guilty and were sentenced to serve state prison time, jail and, in many cases, ordered to pay restitution. According to the defendant’s guilty plea and statements made on the record in court, between April and August of 2014, WILLIAMS provided the personal identifying information, including Social Security numbers and dates of birth, of more than 20 Saks Fifth Avenue credit card account holders to ROCKSON, CHANCE, and KNIGHT-WILLIAMS, who were then employed as sales associates at the department store. The employees would then use the stolen information to purchase luxury goods that WILLIAMS pre-selected from designer brands, including Chanel, Valentino, Christian Louboutin, Ferragamo, Balmain, YSL, Gucci, Giuseppe Zanotti, Kate Spade, Louis Vuitton, and Givenchy. In some cases, the sales associates would then provide the fraudulently purchased merchandise to a group of “shoppers,” who were recruited by WILLIAMS to impersonate Saks accountholders. These three individuals received the merchandise that was pre-purchased by the sales associates, and then met WILLIAMS at designated places, such as hair salons and gas stations in Queens, to hand-off the stolen merchandise, which was then resold on the black market. As part of the scheme, the shoppers were also sometimes instructed to return certain stolen property to Saks Fifth Avenue in exchange for store gift cards, which were then resold for profit or used as payment for the shoppers’ services. One of the shoppers, CHRISTINA KIPP, previously pleaded guilty. The cases against the other two shoppers remain open. In all, this identity theft ring is responsible for approximately $430,000 in fraudulent purchases over the course of 91 distinct transactions. No physical credit card was ever presented; instead, the stolen credit card information was manually entered into the system by the sales associates who processed the transactions. In some instances, no customer was present at the checkout counter during the purchase. Assistant District Attorneys Sophi Jacobs and Michael Murray handled the prosecution of the case, under the supervision of Assistant District Attorneys Jeremy Glickman and Tracy Conn, Deputy Chiefs of the Cybercrime and Identity Theft Bureau, Brenda Fischer, Chief of the Cybercrime and Identity Theft Bureau, and Executive Assistant District Attorney David Szuchman, Chief of the Investigation Division. Cybercrime Analyst Vitali Kremez; Investigators Daniel Murphy, Michelle Moy, and Mariangela Perrotta; Supervising Investigators Jonathan Reid and Robert Muldoon; Senior Investigators Richard Breece and Reginald Barometre; and Detective Marisa Valle-Zarakas assisted with the case. District Attorney Vance thanked the United States Secret Service, particularly Special Agent Matthew Wagner, Access Device Fraud Squad; U.S. Department of Homeland Security Investigations, particularly Special Agent Todd Kowalski, Violent Gang Unit; and Saks Fifth Avenue, for their assistance with the case.